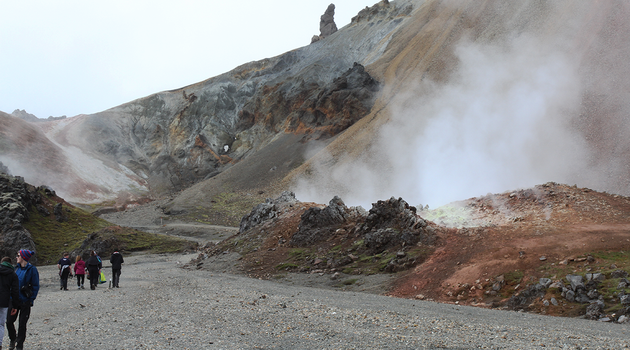 Landmannalaugar is also widely known for its natural geothermal baths, hence its name "The People's Pools". 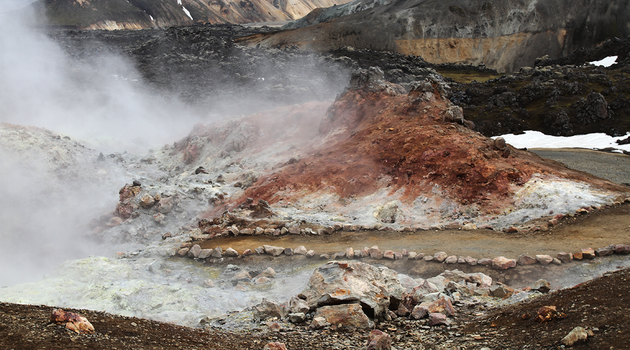 For hundreds of years, it has served as an area of shelter and respite for tired and weary travellers who may use these soothing pools to relax after tiring excursions. Just remember to bring a swimsuit and towel. 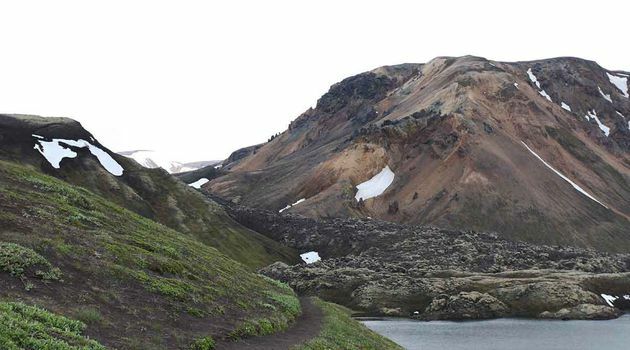 The most popular road leading to Landmannalaugar, Sigölduleið, takes you past multiple stunning natural features, including Bláhylur lake, a magnificent body of water nestled in a dormant volcanic crater. 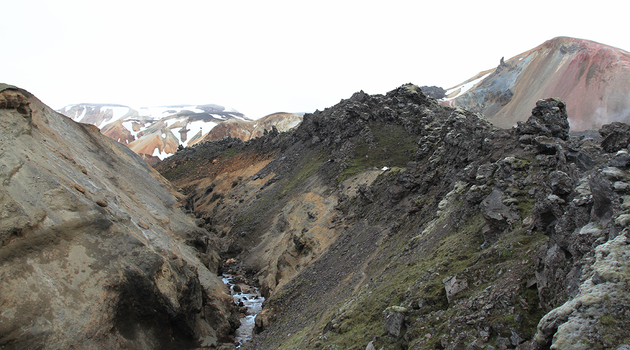 Hiking here, as with Þórsmörk is very varied and is almost invariably the starting point for the famed Landmannalaugar trail but it cam also be an excellent base for many shorter hikes. 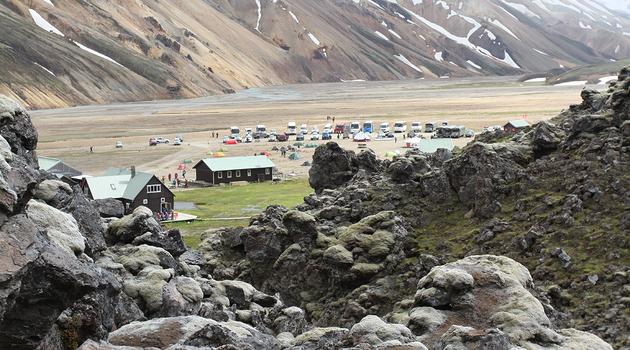 Why not take an overnight stay in a mountain hut which are available for booking at the website of Ferðafélag Íslands. 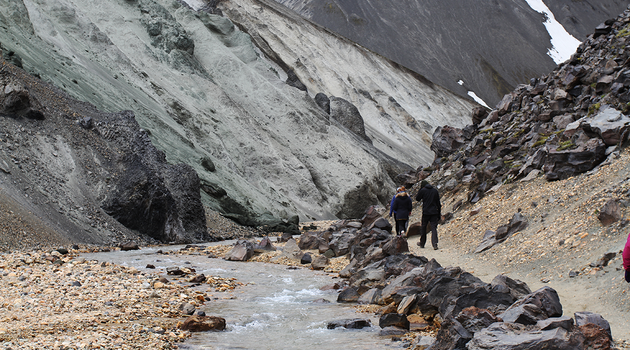 Timing is of the essence of course and the area is open from June through to September after which the road closes in anticipation of the Autumnal cold spells and ultimately the freezing winter when the area is inaccessible. 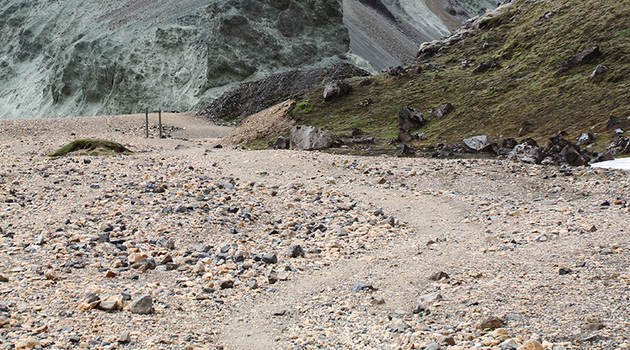 By taking our Bus, you can access all three of the most popular trails in Iceland. 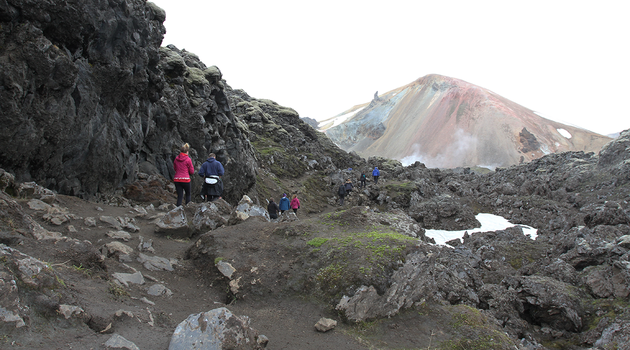 The 3 day trail called Hellismannaleið which goes from Rjúpnavellir and Landmannalaugar or try the challenging 3 to 4 day trail Laugervegur from Landmannalaugar to Þórsmörk. 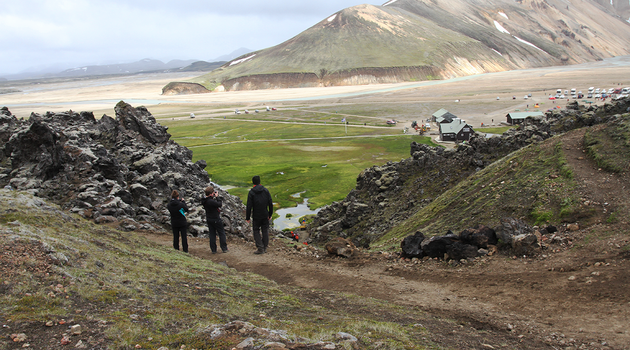 Timetable for ThuleTravel hikers bus is on our website, brouchures and printed on your ticket.